I’m going back to my French heritage which includes memories of eggs cooked in France lightly based on the same idea of our possibly original American popular brunch dish featuring Eggs Benedict with Hollandaise Sauce; only the civet has the French twist of including red wine. 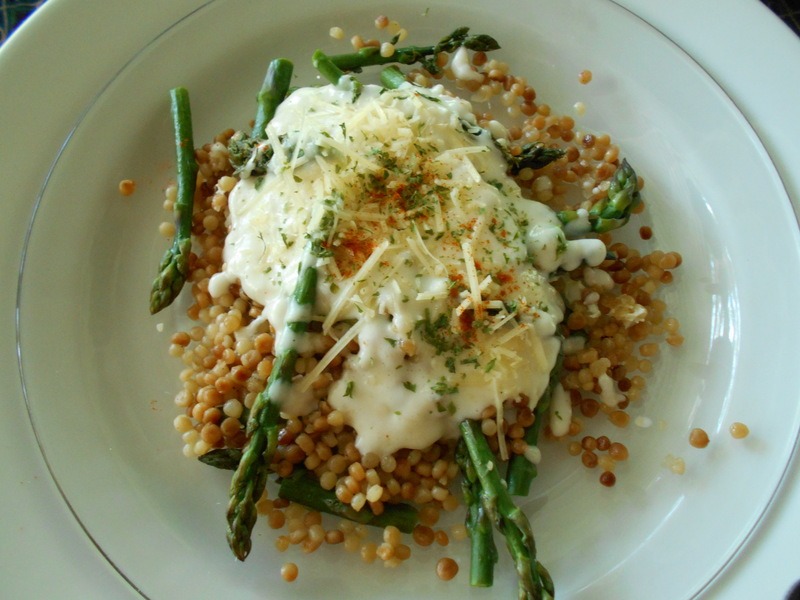 So, I was hungry for a lighter dinner one night and I thought of this recipe on which to dine. It was delicious. 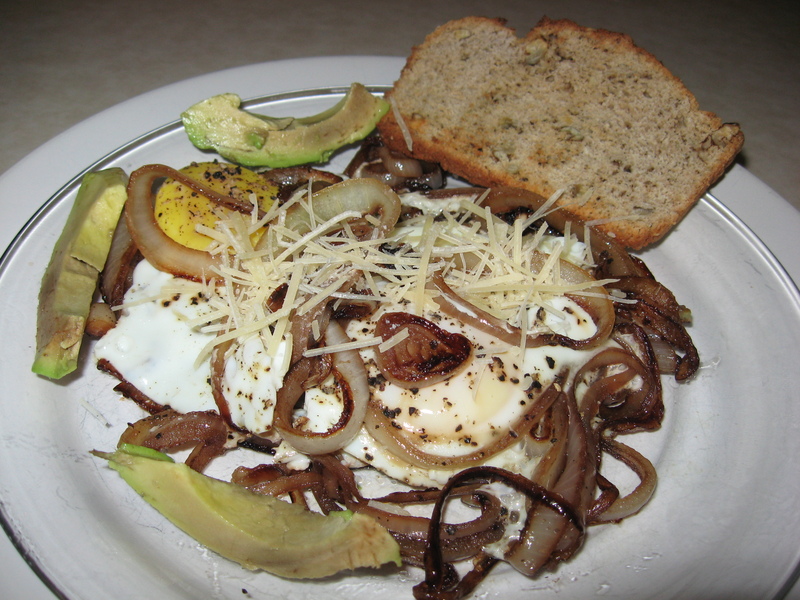 Give it a try for breakfast, lunch or dinner. Heat the oil in a nonstick sauté pan. Add the onions, stirring, over high heat till they are nice and brown. Turn heat to medium-low, add the water and sugar and simmer the onions for 15 minutes. Add the vinegar and cook till it evaporates. Add the wine and some S&P to taste. 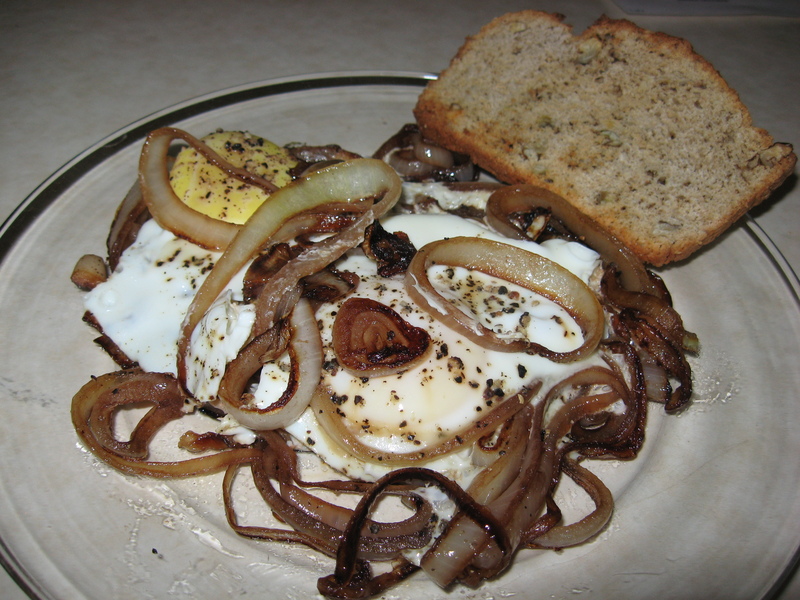 Break the eggs, one by one, in a cup and slip each one individually on top of the onions. Place a cover on the pan and still over medium-low heat cook until eggs are done to your taste. Watch carefully to see that they don’t get overdone. S&P if you wish the tops of the eggs. 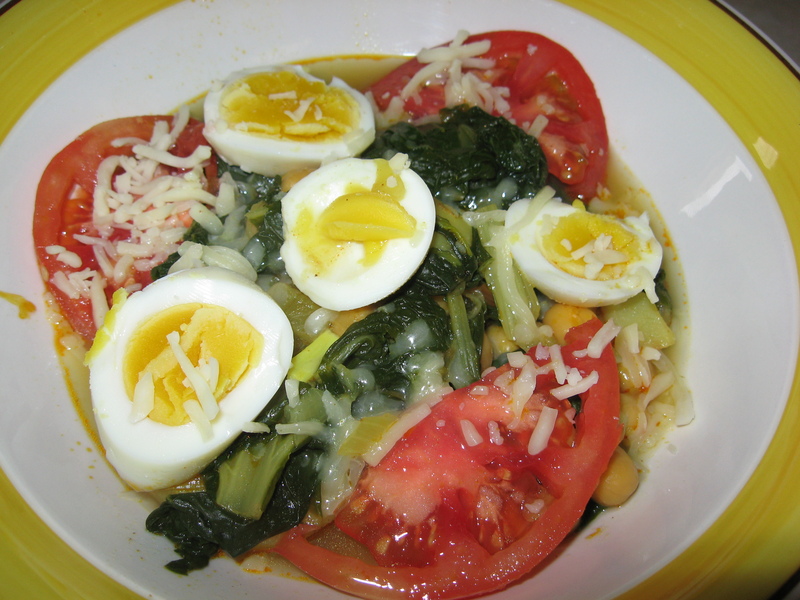 Divide the egg stew between two plates and serve immediately with some crusty French bread. 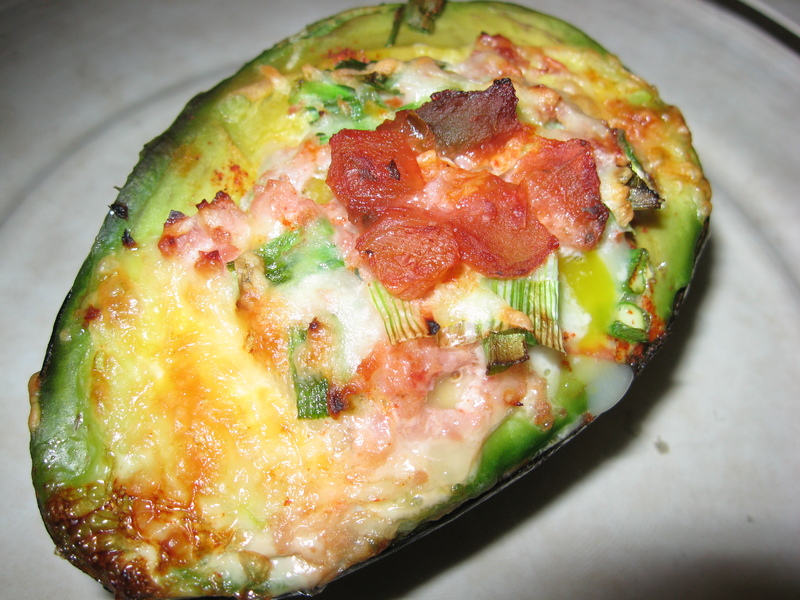 I added some Parmesan on top (an Italian addition) and placed some sliced avocados on the side, but you can also add some sautéed mushrooms as a topping and freshly sliced tomatoes as a side garnish. 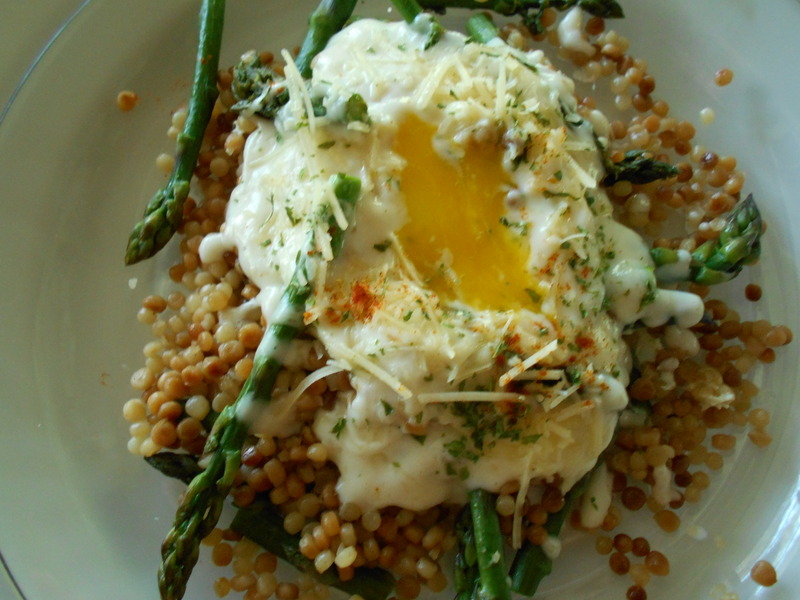 This is a very versatile dish and is fun to serve and eat. 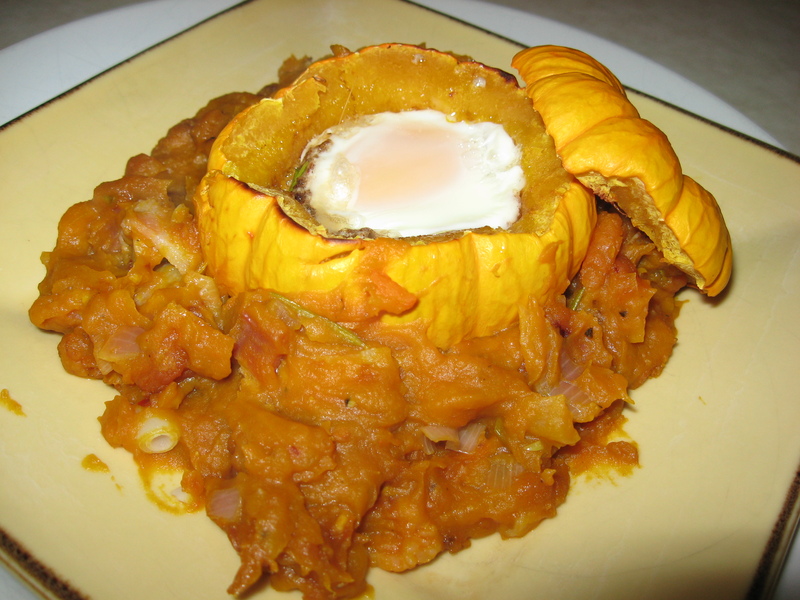 In conclusion, I would like to tell you of another truly excellent French egg dish called “Oeufs en Meurette” (eggs poached in a red wine sauce). 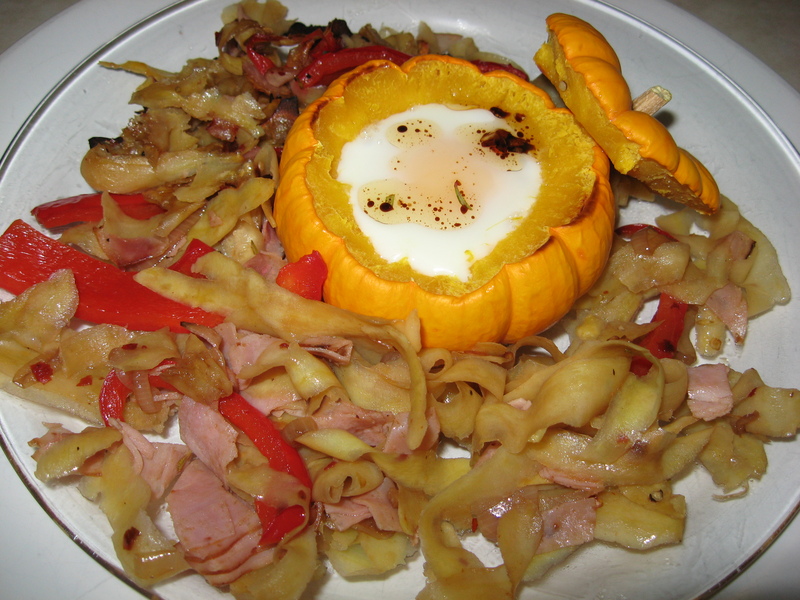 This is a timelier dish to make; however you can make it, including the poaching of the eggs, the day before serving. It is so delicious, that I feel that it’s worthwhile spending the time making it in a proper fashion. 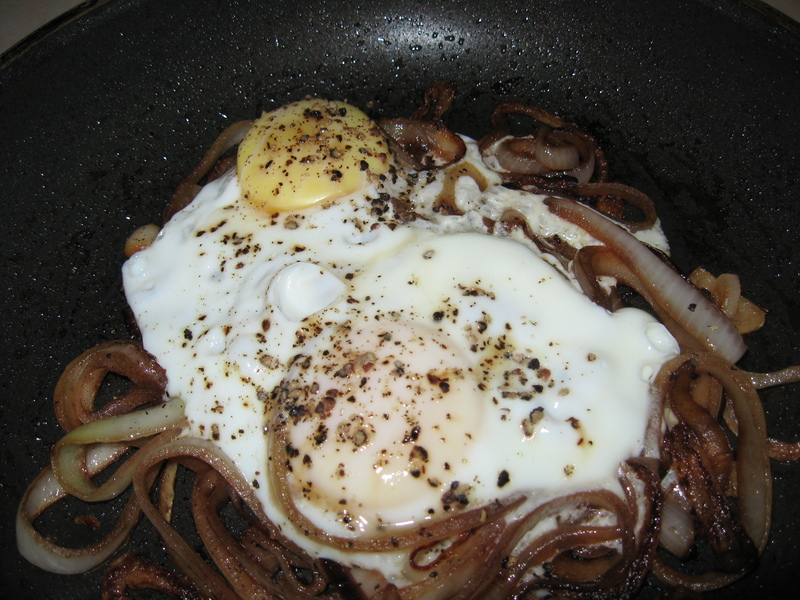 However, the recipe I gave you is in essence a bit of a quickened version of the Oeufs en Meurette.